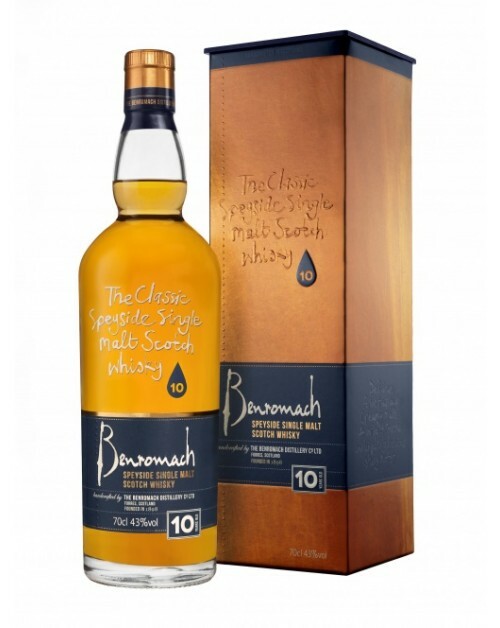 Benromach 10 Year Old Single Malt Whisky is new to the market from Gordon and MacPhail's terrific Benromach Distillery. This expression was matured for the first nine years in a mix of Bourbon and Sherry casks before a final year in Sherry casks. A great value dram. Nose: Dry husk with large notes of barley, malt and oak. Palate: Barley with low herbal notes. Fruity with malt and ground ginger. Finish: Long with ginger and sherry notes melding.